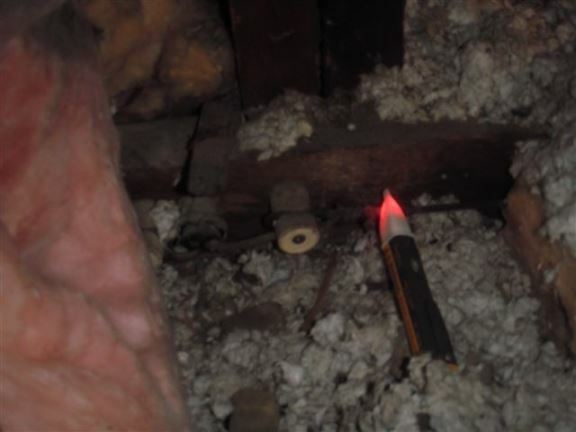 There are specific components of a house that are important to inspect, because insurance companies will not supply coverage if certain features are present. 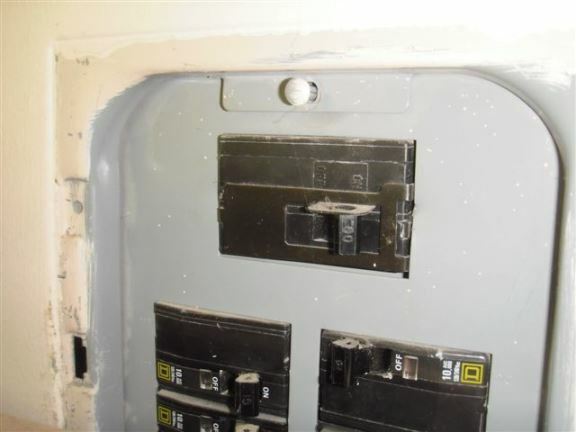 It is difficult to obtain insurance if the house you are buying contains less than 100 Amp hydro service, has fuses and not breakers in the panel box, knob & tube wiring, galvanized plumbing, an old furnace or a roof that is in poor condition. Aluminum wiring may require a safety certificate from a licensed electrician. 60 amp hydro service should be upgraded to 100 amp service. 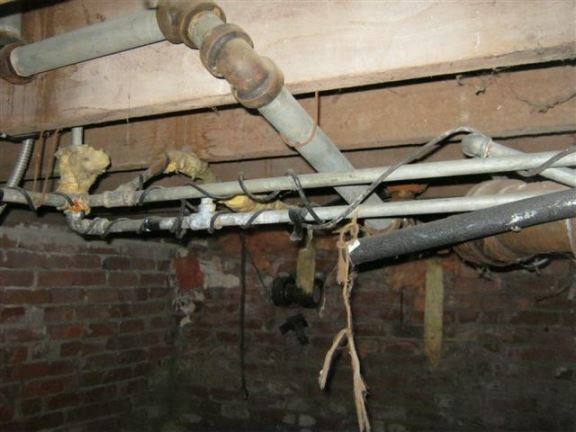 Here we see more galvanized water pipes; many insurance companies will not insure houses with galvanized pipes because they are prone to rusting and leaks. 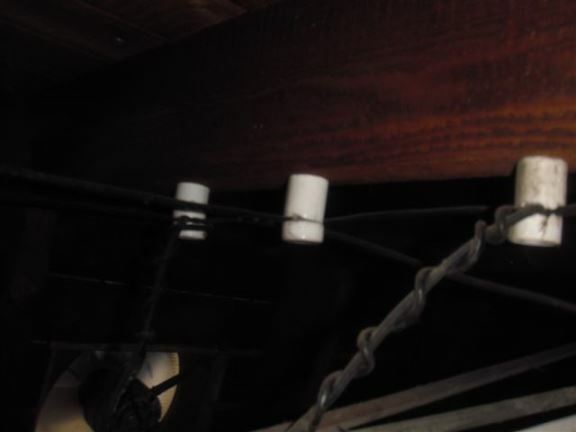 Live knob & tube wiring shown in attic indicate outdated wiring that will require replacement. Less than 100 amp hydro service. More live knob & tube wiring. 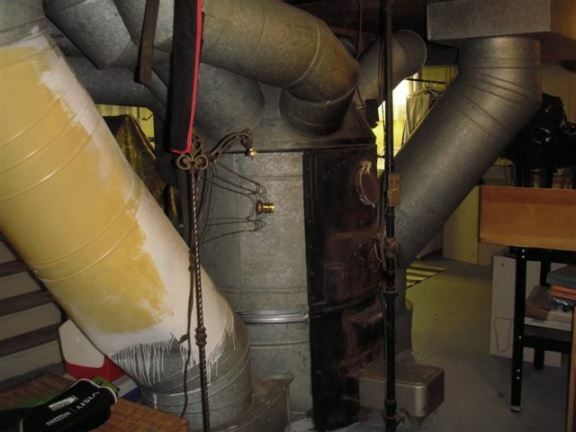 Insurance companies will ask the age of a furnace for whatever reason. 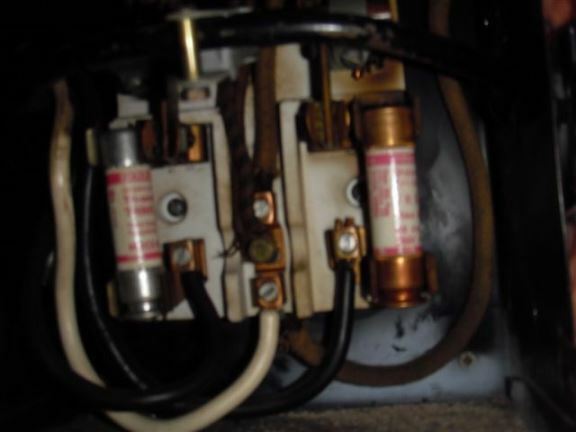 Due to expansion and contraction of the metal, aluminum wiring can loosen at connections and cause overheating and fires. 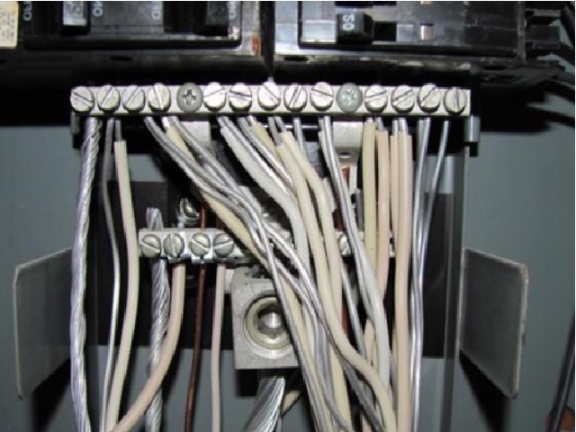 Insurance companies may require a separate wiring inspection by an electrician.